The film studio is yanking advertisements for the science-fiction comedy in light of the Trayvon Martin shooting. 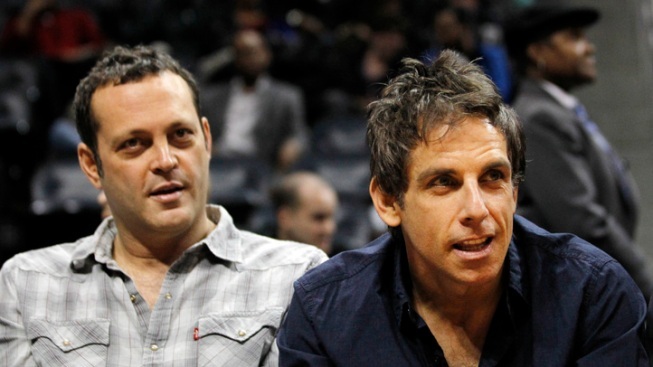 Actors Vince Vaughn and Ben Stiller star, alongside Jonah Hill and Richard Ayoade, in 20th Century Fox's "Neighborhood Watch." Twentieth Century Fox has pulled early promotional materials for its comedy "Neighborhood Watch" in light of the Trayvon Martin shooting. Last month, the unarmed, 17-year-old Martin was fatally shot in Sanford, Fla., by neighborhood watch captain George Zimmerman, causing a national firestorm and demands for Zimmerman's arrest.